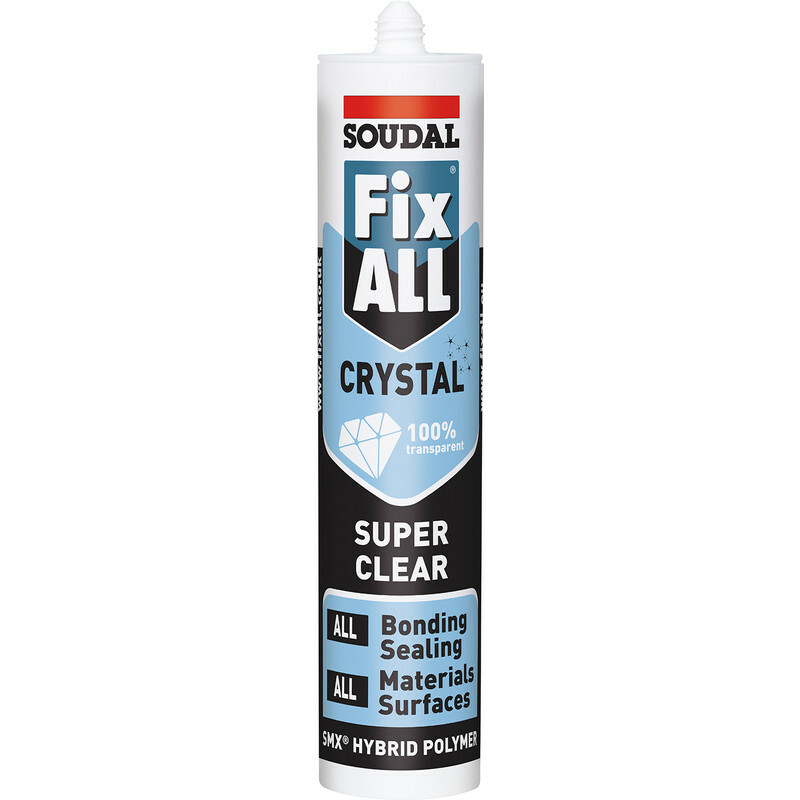 Soudal Fix All Crystal Adhesive & Sealant 290ml Clear is rated 4.8 out of 5 by 5. Rated 5 out of 5 by Majoa from Strong fixing I used it to fix liquid soap dispensers on the wall and the result is great! No need for drilling. Rated 4 out of 5 by PLPZ from Good glue I've bought this in the past and it stcks well. Rated 5 out of 5 by JulietBravo from It sticks! Used it to put corner strip on plastic clading, worked a treat, it not only sticks but fills the gaps so shoundn't get any water in. Rated 5 out of 5 by Stevie5188 from Ideal for what I needed Does what it sez it will!